To me, unwinding from work and business is just as important as working hard. And having just recently become a mum to my little baby boy Kasey, I’ve been reflecting more and more on the importance of family and friends in my life. They are my support system and play a huge part in my life and my journey. My journey in business, to me, is an integral part of my dreams. Every day at work is a new day to make my dream life a reality. 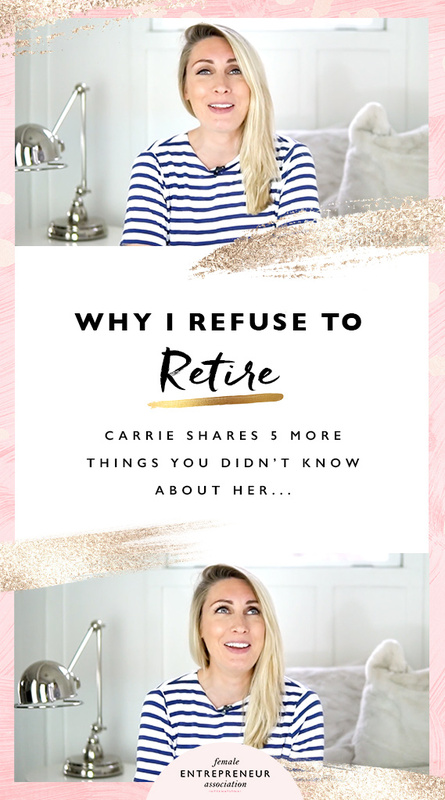 This is why I would never consider retiring – building dreams is a lifelong journey and I don’t intend on quitting or putting an end date on it. So, in this video I answer 5 more random questions and share a bit more about my personal life with you, my favourite way to spend free time and why I would never retire.